Here he comes to save the day! The Meg scribes Jon and Erich Hoeber have been tapped by Paramount Animation to script a “hybrid film” adaptation of the classic cartoon Mighty Mouse, according to a Deadline report. Not much else is known about the project, which will obviously focus on the muscular mouse and his battles against evil. The Superman parody was created in 1942 by Isadore “Izzy” Klein under the name Super Fly, a banner that changed to Super Mouse Terrytoons boss Paul Terry took control. 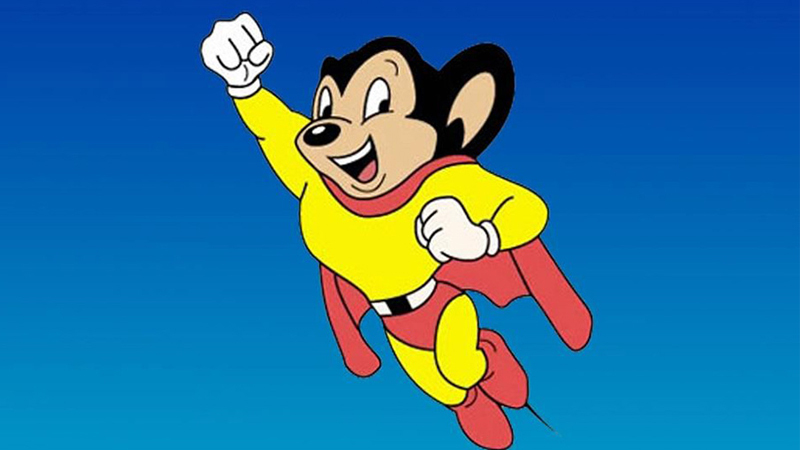 Super Mouse first appeared in the 1942 theatrical animated short The Mouse of Tomorrow, and was eventually renamed Mighty Mouse for 1944’s The Wreck of the Hesperus. The character would eventually go on to star in 80 features between 1942 and 1961. Paramount has tried to bring Might Mouse to the big screen a number of times, even as recently as 2010. The Hoeber’s also penned the Bruce Willis action comedies Red and Red 2 as well as the feature film Battleship. The post Mighty Mouse: Jon & Erich Hoeber to Script Adaptation of Classic Cartoon appeared first on ComingSoon.net.